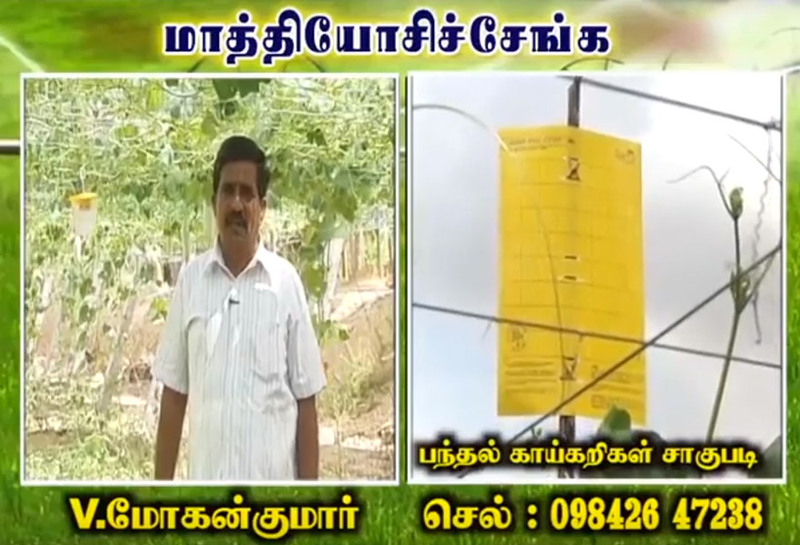 Barrix IPM products recommended by farmer Mohan Kumar in an interview on Pon Vilaiyum Bhoomi. For protection from Melon flies, he used Barrix Catch Vegetable Fly Traps (pheromone traps). He used Barrix Magic Stickers to protect his crops from fly pests. Mohan Kumar speaks about the good yield, profit made and the savings on reduced pesticide usage.